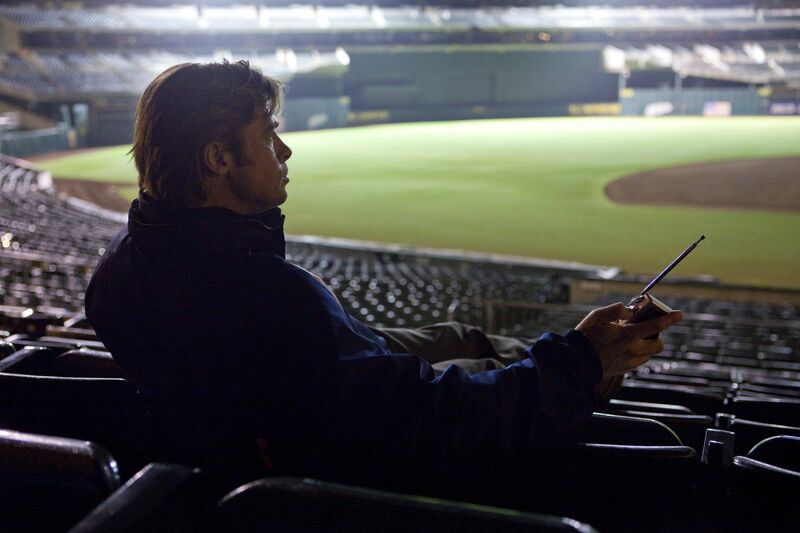 What SHOULD Win: Moneyball - I can honestly and unabashedly say that I didn’t in anyway read the novels in which these films were adapted from. Sure didn’t see the Ides of March theater play either (side effects of not living in LA or NYC). So I won’t be basing my pick for this award on how well it adapts its story from the source material, but instead on the actual QUALITY of the screenplay that the films had on the big screen. Having said that, Tinker Tailor Soldier Spy was a mess. From what I understand, the film was adapted from a novel of the same name, but has a popular previous TV adaption that needed to be 5 hours long to tell its story. For the most part, the film adaption feels rushed, unfocused and frankly, 3 hours too short. I feel similar about The Descendants, although I did like the film, I felt like a lot of the ideas probably presented in the book weren’t fleshed out as coherently in the movie version. As for Hugo, the screenplay was probably the weakest thing about the film altogether. Visually it’s a treat and overall it’s a dazzling achievement, but the plot shifted gears too unexpectedly and what we’re left with was almost two separate films that never consistently engage us emotionally. I’m gonna give it to Moneyball, if only because it’s an uncommon sports movie that doesn’t focus on the action of sports but instead the emotional realities and business aspects, all told in a non-glamorized narrative I really appreciated. The Ides of March had an engrossing screenplay as well, and is probably the only other nomination here that deserves praise in my opinion. What SHOULD win: A Separation, but I haven’t seen it, so I”ll go with The Artist - The thing I love about the Academy is how the writing branch leans towards commending TRUE originality every year. The only one I haven’t seen here is A Separation, an Iranian film that is already considered a masterpiece (being a big fan of Iranian films, I’m aching for my chance to actually see it.) The rest are all some of the best films of the year. I was ecstatic to see Bridesmaids garner a nomination. Despite being the most hilarious movie ever starring females, it is one of the only stories Hollywood has ever told through the eyes of your average confusing, neurotic, looks-bad-in-a-swimsuit female. AKA 99% of girls we know (except the ones I associate with nah’mean.). Combine that with a genuine story about friendship, throw in naturalistic comedic dialogue and you’ve successfully created a subgenre of the “buddy comedy” for women. The Artist will probably take this, and as much as I love the other nominations I can’t say I disagree. Creating a story as vivid and enthralling as the one The Artist tells is not the kind of thing you don’t dedicate to. Replicating the essence of a silent film in order to tell a narrative through silent film ABOUT silent films is a remarkable achievement and it does it with everything from lighthearted humor to heart-wrenching romance. It even has occasional avant-garde elements, which is like going to Golden Corral and finding out it’s that one day they serve Ribs during the week. I couldn’t give any more kudos to the screenwriters and I hope the lack of actual spoken dialogue doesn’t disadvantage the genius of this screenplay. What SHOULD Win: War Horse - Now I don’t claim to hold a PhD in Sound Editing or anything, but I’ve been a film buff (and just buff) long enough to at least know the first thing about the art form. Since I know just reading the title of this category SOUNDS (*rimshot*) boring, let me explain what it basically entails. Sound editing involves the people that CREATE and CAPTURE the sounds that you’ll eventually hear in a movie. The more robust the sound effects, the likelier it is you’ll notice it, which is why you actually see a film like Transformers getting a nod here. Hugo and Dragon Tattoo earned their spots here for subtle sound work I imagine, weather placements and wind whooshes and ironically, both films had scenes with trains. Drive had some pulse pounding car chases that’d be nothing without the great sound work, and Transformers has undoubtedly impressive work, if anything in just the effects created for the machines clanking and transforming about (something the kids know as Dubstep nowadays.) I don’t know, maybe it’s an obvious choice, but War Horse quite simply did a fantastic job in the sound department. Scenes of warfare, pedestrian commotion, the incessant sounds of a horses natural subsistence, usually to convey emotion; all around it’s evident how much effort was put into the film for this specific department. What SHOULD Win: War Horse - Let me start this off by giving mad props to the sound crew for Transformers 3. For a film that’s largely considered a joke in every other facet of the filmmaking process, I love how the sound guys apparently did a KILLER job haha. It shows, it does. Unfortunately, because it’s Transformers, I tried erasing all recollection I had of that movie shortly after leaving the theater, so it’s at an obvious disadvantage here. However, it grossed more money than the entire economy of Zimbabwe, so I don’t feel too sorry for it. Moneyball replaces Drive in this category, which otherwise would’ve made an exact copy of nominated films from the last category. For anyone actually not skipping the SOUND categories, Sound Mixing is as self explanatory as it suggests. It involves mixing the different tracks of sound you capture for a film’s final product, everything from dialogue to the musical score, to the things that we previously mentioned qualify as Sound Editing. I want to choose Moneyball here, because there’s a certain element of sound you need to capture in a baseball game’s environment to truly invigorate the atmosphere for it (crowd, batting, running, etc.) 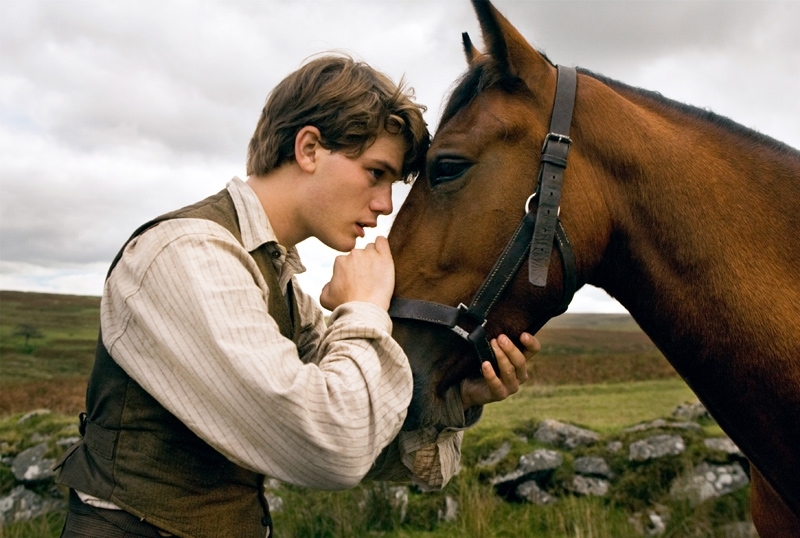 but in the end I choose War Horse for the same reasons I previously mentioned. What SHOULD Win: Rise of the Planet of the Apes - All of these are legitimate nominees. Transformer’s definitely has the gaudiest CG; with a budget of 200 million dollars how could it not. 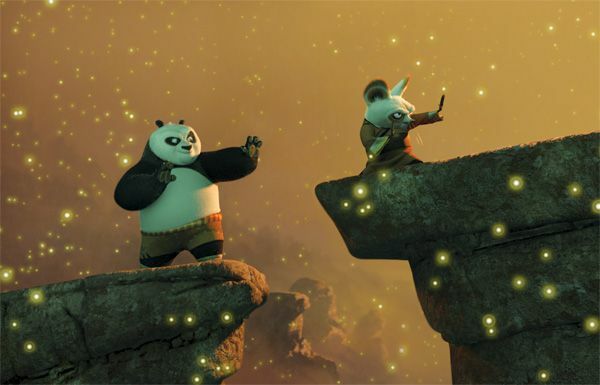 As impressive and showy as it is, the quality of the film itself doesn’t help us properly assess its Visual Effects independently from the rest of it. If they wanted to save that film, they SHOULD’VE BEEN BETTER. Hugo applies an artistic treatment of Visual Effects, everything mostly attributed to the setting and mood of the film, with everything making a bigger impact if seen in remarkable 3D (for once it wasn’t a gimmick.) Then we have Real Steel, a big budget crowd pleaser with undeniably great CG. Too bad we’re often too busy looking at stud muffin Hugh Jackman to really notice it (just me?) I can’t believe I’m actually choosing something over Deathly Hallows Pt. 2, but the main reason for this is because a film like Rise of the Planet of the Apes wouldn’t even EXIST had it not been for its amazing graphics. The only parts that actually made you care about the film were BECAUSE of its motion capture acting/CG. 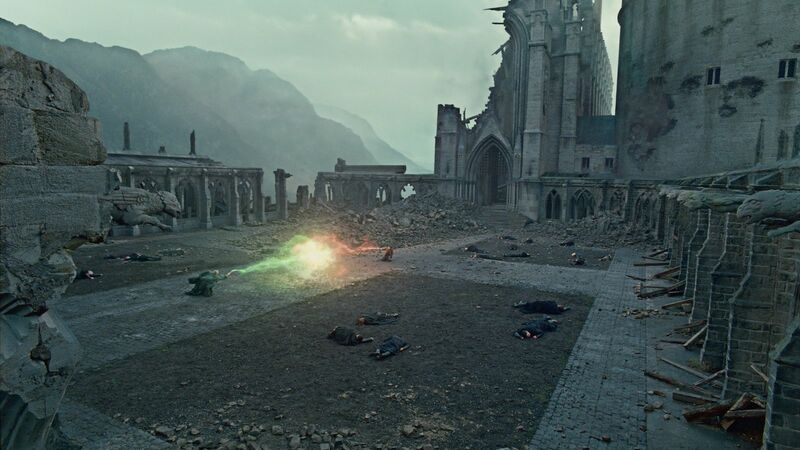 So although I prefer the Harry Potter film ten times over Rise of the Planet of the Apes, I have to give credit where credit’s due and a film that rarely features a shot without SOME use of CG, is obviously superior in this category. Not to mention, unlike Transformers, it actually utilizes Visual Effects to express substantial plot points and other things essential to a films narrative. CG was what made ‘Apes’ good. Without it all we’d have is James Franco’s subpar acting and mediocre dialogue. What SHOULD Win: Man or Muppet, but really, can we get some more nominees? - This is the only category I really have a problem with this year. The number of nominees has been shrinking every year the last couple of years but what’s the point of having it get down to a measly two? I know this is probably a result of wanting to dedicate less time to musical performances at the Oscar’s, for fear of losing the new generation’s interest in the program, but that should be the LAST thing dictating the integrity of something like the nomination count. I’m really disappointed that the Academy would let it get to this point, but I guess business is business, and with something’s it is always gonna be about business. The thing I hate the most is that this category used to have one of the most diverse body of nods year in year out, with films ranging from foreign musicals to unnoticed indie’s. Oh well. My vote goes to “Man or Muppet”, although I would’ve preferred Kermit’s “Pictures in my Head” to get a nod for the film instead. Whatever, I’m done with this competition-less Award. 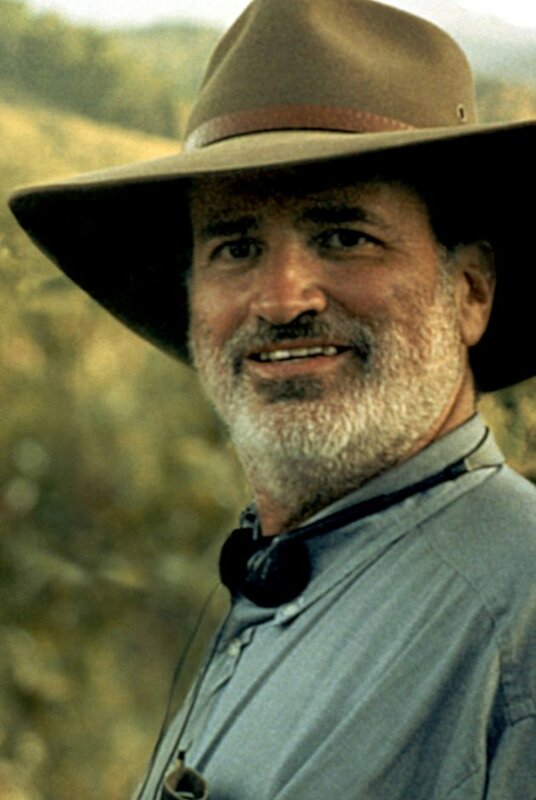 Who SHOULD win: Terrence Malick for Tree of Life - Going back to what I mentioned in my “Intro” article earlier; no film is good without a good director. All the films that this fine group of artists directed are definitely within the parameters of superiority but which ones truly transcend a level of mastery, be it in innovation, storytelling or grandiosity? The Descendants was a good movie, but after loving Alexander Payne’s previous film ‘Sideways’ so much, I frankly expected a more balanced film than the disappointing effort it ended up being. Everything about it felt formulaic and even shoddy in some instances. Mr. Payne could’ve done better and I really don’t understand what exactly merits the overwhelming praise it’s been receiving by critics. Martin Scorsese is probably the most recognizable name on the list, celebrated for his usual depiction of gangster realism and violent imagery in films, and yet, is getting nominated for a PG family movie that not the least bit sacrifices his technical expertise. I wouldn’t consider Hugo one of my favorite films of the year since I felt it had some very notable flaws, but I also wouldn’t protest Marty getting an award for Director, because what he accomplished in overseeing this movie is unquestionably the work of an artist committed to his craft. He managed to take the gimmick out of the 3D movie experience while telling an innocent children’s story for adults. If only he had done a better job at the latter. Woody Allen outdid himself with Midnight in Paris, which IS one of my favorite films of 2011. I hope he continues telling dialogue-centric stories with whimsical elements because it’s a lot more refreshing than the body of films he’s been making recently. The highly unknown Michael Hazanavicius is expected to win this gold statue, making a great story for headlines on Oscar Sunday and had Terrence Malick not released a film in 2011, I’d be in accordance with such a motion. 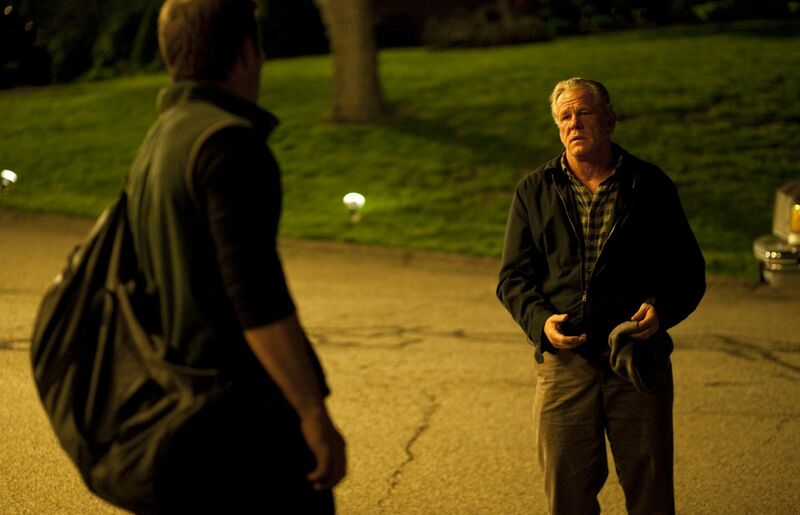 However, Terrence Malick DID release a film in 2011 and it was the best film in his much lauded career. That’s saying something. If any Director should be credited for his unique and visceral approach to filmmaking, Terrence Malick, with The Tree of Life, is that person. His unconventional style won’t strike a chord with everyone and I’m sure doesn’t appeal to the more casual audiences (at all), but for those more open to unorthodox techniques and/or actively pursuing films with high artistic intent, I couldn’t recommend this film any more, if anything to at least commence an interesting discussion. I was really impressed by the final list of Best Picture nominees. Especially given the notorious changes applied yet again to the voting system and number of nominations, I wasn’t exactly sure what to expect. While this vaguely resembles what my official list of Best Movies of 2011 (oh don’t tempt me) would look like, it is nonetheless a good list of films representative of some of the year’s most liked movies. I personally like every film nominated here… EXCEPT The Help. Now before I fall under scrutiny because I just singled out the most mainstream film of the lot, understand that this has nothing to do with my contrarian attitude or my bias against Emma Stone (*barf*). Truth is I wanted to like The Help. Despite the sentimentality, the clichés and the one-dimensional characters the trailer suggested the film would be brimming with, I secretly still rooted for the film. Once reviews starting popping up and audiences and critics alike were embracing it, I slowly started accepting the fact that it might actually just be GOOD. One thing I already liked was that it served two VASTLY underserved audiences, telling a story in the point of view of not only African Americans or women, but African American women. I felt a film finally had the potential to accomplish something greater for us, outside of the unserious Tyler Perry or Chick Flick realm. Maybe what it ended up being wasn’t as bad as my initial, cynical impression of it, but it also wasn’t a good movie. The African American women being reduced to supporting roles in a movie that’s supposed to represent them was downright insulting to all minorities in our country if you ask me. I don’t mind the decision to incorporate light hearted elements in a film that should otherwise handle its heavy thematic content with thorough respect and historical accuracy, I realize not every film about civil rights has to be Malcom X, but to use the civil rights era and serious issues regarding race as a backdrop for what essentially was a chick flick, should just not be condoned anymore. It should definitely not be considered a higher standard of film, or an artistic one. We barely peek into the lives of the women that the film claims it’s finally gonna speak up for and that’s its biggest irony. Emma Stone’s character had a completely unnecessary subplot involving her “love interest” with a white guy (while her implied fling with the black guy is ignored???) which served absolutely no purpose in advancing the plot in any substantial way, yet we don’t get introduced to the children or marital issues of Octavia Spencer’s character? The White people writing this screenplay couldn’t give her more outside of the typical gags involving fried chicken and cooking? I can go on forever. …… Nevermind, screw everything. I’ll stick to Cannes. NOTE: Best Foreign film, Documentary and both Short Film categories were ignored because unfortunately I don’t get opportunities to see any of these films in my area before the award shows. In reality these would be some of the most interesting categories, but oh well. 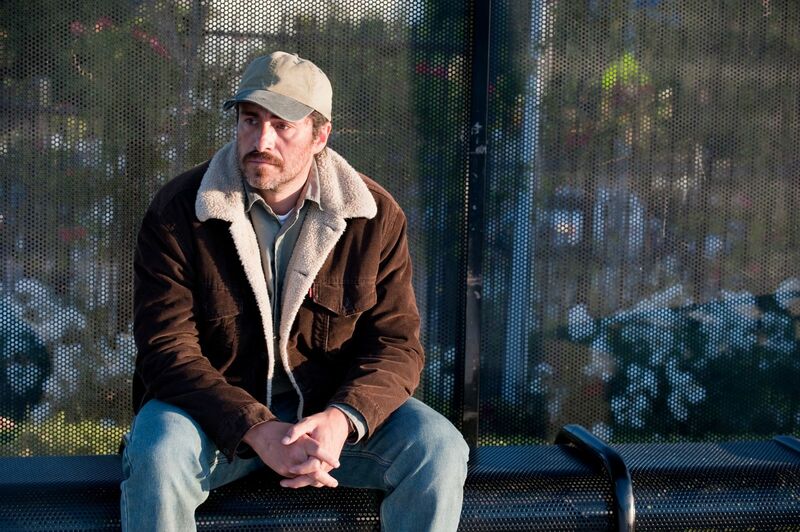 DEMIÁN BICHIR stars in A BETTER LIFE. Photo: Merrick Morton. © 2010 Summit Entertainment LLC. All rights reserved. Who SHOULD Win: Demian Bichir - No person who’s been a cast member of Ocean’s 11 deserves to win this year, sorry. Their performances were solid, but when does George Clooney not simply act like GEORGE CLOONEY in a film? As for Brad, he had a better performance in a better film (The Tree of Life). Also, no disrespect to Jean Dujardin who actually did a fantastic job in The Artist and had the SECOND best performance of the year, but my absolute favorite performance of 2011 has to go to Demian Bichir’s in A Better Life. I’m not just praising him because we share the same ethnic background (arriba la raza) or cause he uncannily resembles my dad in his work clothes (luv ya pops) but Mr…uhm, Senor Bichir did an AMAZING job in this film, and I strongly urge fans of ANY type of movies to watch him in it. No performance evoked half as much emotion from me as his and aside from being an authentic portrayal of a Mexican illegal immigrant, he nails his role as a hardworking dad/general good person, who anyone in our area can attest actually makes up the majority of these people that society calls “illegal’s”. Honest, heartbreaking, even physically demanding… I’ve been saying this is the best performance of the year since May and it still is. As for Gary Oldman's performance, I'm trying my best not to bring it up for fear of zzZzzZzzzzzZZzzzzzZzzz..... A lot of experts talk about how "understated" it was, but all I saw were the back of my eyelids by the time his "brilliant" performance was set and done. Who SHOULD Win: Michelle Williams - Viola Davis knocks it out in EVERY role she’s ever done and her role in The Help is no exception. However, I wasn’t a fan of the film as a whole and my main problem with it (African American maids being reduced to a supporting role… in their OWN movie) is why I think she doesn’t necessarily deserve to win the Oscar THIS time. A lot of people seem to be rooting for Meryl Streep, but while playing a historical figure is never an easy task, I found the mediocre and confusing nature of the films screenplay to be quite distracting of what could’ve been a truly great performance. Rooney Mara was a surprise candidate, her edgy role was immersive and definitely the bravest of the lot, but in the end it could be argued that she had the perfect prototype to mimic, as her role was part of a remade film. My pick would have to go to Michelle Williams since she had to portray the hottest girl in history, in all her psychological laden turmoil and charismatic charm. Just recreating the screen presence Marilyn Monroe demanded on a film set or film screen in real life, is nothing of an easy task, let alone being equally convincing when she depicted the negative aspects of the pop icon’s life. No one can ever be Marilyn Monroe ever again, but Michelle Williams comes close. THE ARTIST. Photo by: The Weinstein Company. Who SHOULD Win: Berenice Bejo - Jessica Chastain had more good roles in 2011 alone than most actresses have in a lifetime. Had she been nominated for The Tree of Life, I’d be more than happy to be supporting her (zing! ), but unfortunately her nod was earned for her least interesting role this year. Big props (zing…) to Melissa McCarthy’s nod; she was equal parts hilarious and heartfelt in one of my favorite movies of the year and didn’t have to be a tired archetype character, written by a White person, of a race that deserves better FOR a race that deserves better… and I guess she’s fatter than Octavia Spencer too, now that we’re discussing which large and in charge momma was the better one. Anyway, in the end no one stole my heart like newcomer Berenice Bejo did in The Artist. Not only was she actually more of a LEAD role, she tap danced into our hearts and made us fall in love without as much as saying a single word. I foresee good things for my BB in the future of this industry. Hopefully an Oscar statue can jumpstart her career the right way. Michel Hazanavicius's film THE ARTIST. Photo by The Weinstein Company. Who SHOULD Win: The Artist - For anyone completely out of the loop, we’re not referring to the kind of points you “score” in a game here. Nor for your daily fix of heroine. That wouldn’t even make sense. Original Score (in the Film world) refers to the original music that accompanies a scene in a film and usually without us even noticing, determines exactly what those images make us feel. Chances are, if you’ve ever cried in a movie, it was partially due to the emotional scene besetting you and partially to the music in the background telling you to “cry” (in my case, I blame it on the tear duct deficiency I keep telling myself I was born with.) Anywho, this year was interesting because composer Howard Shore was nominated for both Spielburg movies and deservingly so. Still, can I really choose a score over The Artist’s score this year? The Artist was a SILENT FILM, meaning there wasn’t ANY DIALOGUE in it. No talking, nada. If what I mentioned earlier about how music contributes to your lasting impression of a sad scene is true, then the music in The Artist is responsible for half of EVERYTHING it made you feel. I just can’t pick anything over The Artist this year; the music was an appropriate ode to the classic silent film scores of yesteryear and quite simply put, told more of a films story than any other Original Score this year. a Warner Bros. Pictures release. Photo courtesy of Warner Bros. Pictures. Can anyone? I mean the makeup crew for Albert Nobbs transformed Glen Close into a man (something that exists) while the guys for The Iron Lady transformed Meryl Streep into an old person (something that contrary to popular belief, also exists). To hell with using lipstick and eye shadow (presumably…) to transform actors into things that already exist! Make me a VOLDEMORT and then we’ll talk. A scene from Paramount Pictures' Hugo. What SHOULD Win: Hugo - As with the previous category, I’m probably the person least qualified to be deducing anything about fashion or clothing. Yesterday I went grocery shopping in tube socks with sandals, wearing a 4 year old Hard Rock café t-shirt I didn’t even realize I was wearing inside out. That being said, what I do have an eye for, is a film’s setting. 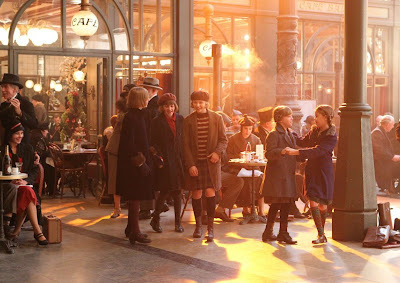 Hugo did a tremendous job of utilizing the characters wardrobe choices to place you in its 1930’s Paris setting… not to mention the portions of the film dedicated to Georges Méliès film productions, which included a wide array of eccentric getups spanning the multitude of genres depicted on set in the film. Since Hugo and The Artist are the only two films nominated for this that are ALSO nominated for something else, you’d think it’s a tossup between those two, but one thing about the Costume branch for the academy, is that they can be quite unpredictable. I’m secretly rooting for W.E., just because critics hated that movie. You go Madonna movie. Jessica Chastain The Tree of Life. PHOTO CREDITS: MERIE WALLACE. What SHOULD Win: The Tree of Life - These are some fantastic nominees. I’m sure the Academy members actually selected to choose a winner have their hands full right about now, because choosing just one of these films is about as easy as swallowing a mouthful of cinnamon (See: impossible). All these are substantial beauties in their own right. 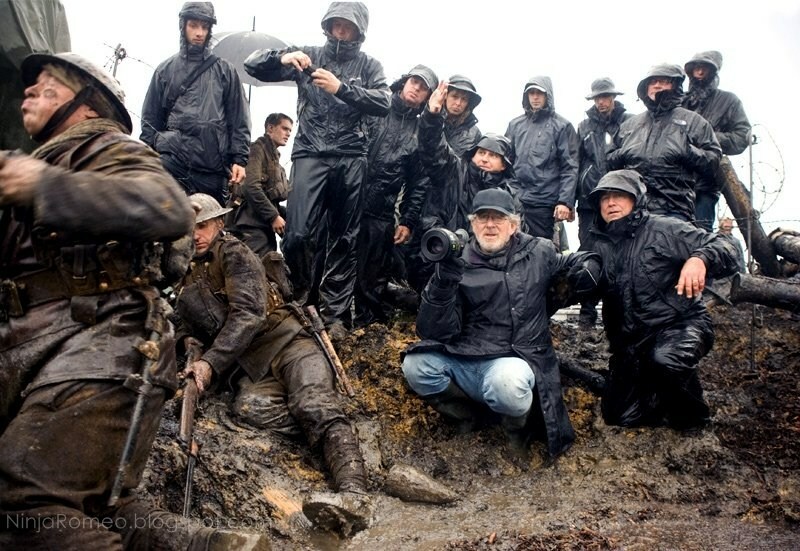 Back when I saw Hugo, I remember thinking no film this year had better photography than that one. I’m disqualifying it simply because I have a hard time deciding which parts of the film were CG and which were pure, old school, lighting and lens focus. The Artist quickly comes to mind, its black and white presentation is classy and nice to look at… and then War Horse included everything from the brightest of days to the darkest of nights all across lush landscapes and brooding war zones. There’s a brief shot of the Irish countryside in final moments of the film that actually looks FAKE. Rest assured it is not. Yes still… in the end, I choose The Tree of Life, not because it is my favorite film of 2011, but because say what you will about its unconventional narrative structure and the experimental nature of the film… one thing you cannot deny, is that it’s a visual experience. If anyone ever makes a film about the trivial and mystifying aspects of MY childhood, I hope it’s handled with the kind of finesse captured by the filmmakers in The Tree of Life. Life is beautiful… but in The Tree of Life, it’s breathtaking. © 2011 Columbia TriStar Marketing Group, Inc. All rights reserved. What SHOULD Win: Moneyball - The Descendants was a decent film but I have no idea what it’s doing on the ballot. Particularly nothing about the films editing speaks to me… then again the same could be said about a few other aspects about that movie as well. Everything else on here appears worthy of a nomination. Personally, it’s between The Artist and Moneyball for me. I’m a sucker for editing in sports movies, as they’ll focus heavily on the atmosphere of a game or match, with ensuing exchanges of perspective among the onlookers and participants of a game. It’s something that goes unnoticed by the majority of the audience, but is almost essential in building up the tension in those heart stopping, emotionally involving scenes. Combine that with the fluid and emotionally engaging narrative involving mixtures of flashbacks and stock footage of real baseball games, and you got yourself a hell of an “invisible” achievement. Then again if The Artist takes this, I will have no complaints whatsoever, because it was exceptional in its own right as well. What SHOULD Win: Harry Potter and This is The Best Movie of All Time - Art Direction was limited to the “back in time” scenes in Midnight in Paris, and even then I feel like the most scenic parts were filmed on location and could be attributed to the beauty of the city of Paris itself, rather than having much to do with the set decoration or production design. The rest of these were outstanding all throughout in the Art Direction department, but this time I’m gonna have to go with the film that didn't do so much recreating, as much as it did in simply CREATING. If you notice, all of these films were commended in this area because they do a fine job of placing you in a lively and believable setting sometime in the early 1900’s. All of these, EXCEPT Harry Potter and the Deathly Hallows Pt. 2. That film does a fine job placing you in a completely fictional and fantasy setting of an alternate reality. A reality where schools like Hogwarts and banks like Gringotts, in all their detailed and fascinating décor, exist. It’s hard enough adapting such a vision from something that previously existed in writing, but doing it as precise as the talented artists that worked on this aspect of the film, reminds us why film isn't just about the actors or the story. The world of Harry Potter would be less immersive without the geniuses manning the Art Direction boat. Editor's Note: Aside from making up fifty percent of the talented musical group 'The Strays' Franky C. Cabrera is also a long time film buff (or as he would describe himself; a film fanatic). 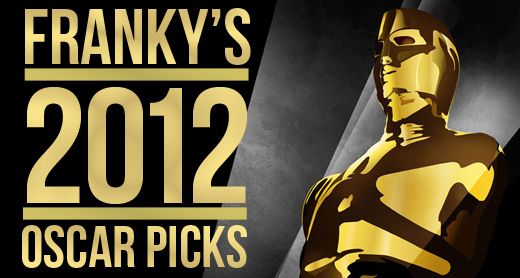 Border Perspective is happy to present; Franky's 2012 Oscar Picks, written by the man himself, where he offers his opinions on exactly how this year's Academy Award should turn-out. I usually don't agree with Oscar. I've been following the Academy Award ceremonies as far back as I can remember and aside from earning a first name basis with the event, I can only say that it's impossible to accomodate a self proclaimed "film lovers" expectations when it comes to celebrating the art of film. Every January, myself and countless other douches that takes their hobby too seriously, find something overtly wrong with the nominations when they're announced. 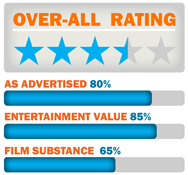 Every year has it's overlooked film (Insert Obscure Foreign film you accidentally rented), as well as it's overrated one recieving too many accolades in your honest, obviously superior opinion ("Social Network" - where's the DISLIKE button?). And perhaps every year, I tell myself the same thing: So what? Why care? If every year since 2001, your taste in movies has refined and grown a tendency to stray from the too generic and simpleton opinion of the average, mainstream film-goer, why do you keep paying attention? If you often disagree, why do you keep listening? I guess there's something special in the times I DON'T disagree. See (no pun intended), the film world is a tricky one and while it seemingly bears no resemblence to something like say, competative sports, I happen to find a lot of similarites in both film and football. The star players are a lot like the actors... the film crew, well that can be seen as the coaches and team staff. It's the collaborative effort between both parties involved that truly seperates a film/team from all of the rest. And ultimately, NO team or film is good without a great HEAD coach... or director. Now if you're too lame to know about either of the fields I'm mentioning, then you might be lost. If you actually lead a normal existence and live in this millenium, then you're probably getting my drift. The point I'm getting to is that oftentimes the film world resembles the equivalent of a National Football League where talent doesn't come into play or get recognized. Imagine a world where Superbowl Championships were dictated based on which quarterbacks were the best looking (horrible way to start this anology since Tom Brady is the hottest guy in the world, but just hang on a bit), or by which team owners have the most money or most likeable players or brightest team colors. It'd be completely unnacceptable because TALENT should be the goal and the standard, being GOOD should be what makes you successful. In the NFL, and the entire sports industry really, the most talked about and liked teams ARE the ones that are good and you'd be hardpressed to argue that a team winning games isn't talented at all. Having said that, I know that film is a lot more subjective than the athletic arts, because movies don't score points against each other while competing head to head in a live match (although OMG THAT WOULD BE AWESOME). But regardless of WHY you go to the movies or watch movies... you can't argue that more and more, weekend release after weekend release, the film industry is increasingly looking like that senseless version of the NFL where teams, staff, coaches and players don't even need to try anymore. Look at record-breaking franchises like Twilight... even the hardest of Twi-hards can admit that those films COULD BE BETTER. For the money you spend to see them and the money THEY spend to make them... they should. (god bless the pre-teen reading this). And this is where award ceremonies, like my good friend Oscar, actually DO something about that. The Oscar for Best Picture is essentially every movie that took itself seriously in the past year, trying to prove it is THE BEST among the rest. It applauds neearly every art form involved in the film making process, handing out awards in all aspects from Special Effects, to Make Up, to Writing and Acting, to things that as general audiences (aka: normal humans) we don't even notice, like Editing and Sound. Not only does it keep the mainstream film industry still interested in TRYING... it exposes general audiences to films they probably would've otherwise never have heard of, much less seen. So even if you saw absolutely nothing wrong in Twilight 4, you can look at a poster cover of a random movie displaying a gold statue and tell yourself "hey maybe that's not as boring as it looks". They usually aren't. So why do I keep paying attention? Why do I keep listening? Hmm... probably.... because I keep watching. The trailers for Chronicle made it seem as though it would be a movie about a bunch of goofy high school kids that somehow end up getting supper powers, have fun with it at first, but then take the fun just a little too far. That’s pretty much exactly what you get in Chronicle, with a little commentary on the apparent need these days for everyone to film everything they do and put it on the internet. Chronicle features some pretty great scenes with visuals that are not only awesome, but very engaging. The “found footage” story telling method works effectively in taking us along for the ride as the kids do exactly what all of us would do if we were suddenly gifted with super powers as high school students. But just like all amusement rides, the ride is over way too soon. The first half of Chronicle is undeniably fun, and entertaining. Things get a little darker in the second half, but the over all tone remains constant. Everything progress in logical order, and the characters are all seem to develop very naturally. Things do get a little silly every now and then, mainly due to the filmmakers attempt to keep the entire movie in “found footage” style. There are a couple of scenes where it would just be completely ridiculous for anyone in their right mind to keep filming, and there are also occasions where the film seems to stop simply just to explain why they are all filming themselves. Although these things get a little annoying, I would say they in no way subtract from the overall enjoyment of the film. Whether its intentional or not (but I’m pretty sure it is), Chronicle also seems to explore the strange state of modern culture where privacy no longer seems relevant, and nobody seems to have a problem filming and photographing horrible moments of their lives and posting them online for everyone to see. A very entering and well developed film. It has its fair-share of silly moments.